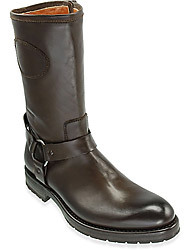 Classic men's boots are not only suitable for every day, but can also be worn to special occasions. You should not go without them, as there are numerous ways to combine them with a variety of looks. It doesn't matter if you prefer biker, cowboy or lace-up boots, the most important thing is that you choose the right quality. 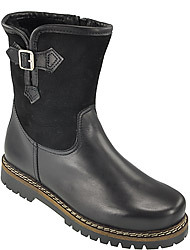 The color black is still timeless and a classic color for men's boots. Meanwhile, earthy tones like dark brown, olive, sand or even beige have become widespread. You can combine them with casual clothing as well as elegant outfits which makes them a reliable companion in every situation in life. 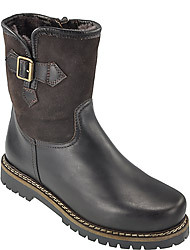 Most of the high-quality boots are made of leather, as for example nappa or nubuck leather. The high shaft offers extra support for the ankle area. The comfort relies on the lining of the shoe as well as the socks you wear in your boots. A boot which is fully closed needs to absorb sweat and at the same time draw the moisture away from the body. A membrane which is incorporated into the shoe makes this possible. If you want to wear your boots outside during any weather you should choose robust outdoor shoes with a higher profile, as they offer more stability. 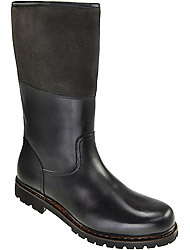 Most men's boots do not have leather, but more durable rubber soles which are resistant to moisture.